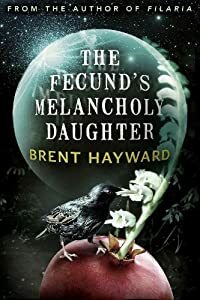 Brent Hayward’s new book, HEAD FULL OF MOUNTAINS, just came out, and he was kind enough to answer a few of my questions about it, and more. Please give Brent a warm welcome! Will you tell us a little about your new book, HEAD FULL OF MOUNTAINS, and what inspired you to write it? 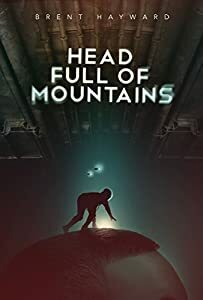 Head Full of Mountains is my generation ship novel, though that might be a bit difficult to discern. I had always wanted to write one and had tried a few times before. The idea that people do things because that’s what people did before them, without knowing why- or even if there ever was a reason- interests me. In many ways, everything out there is built on traditions that are not relevant today. The generation ship idea takes this premise to an extreme. Even with a chance at a new beginning, we would likely dredge up our historical baggage and bring it along. That’s what I tried to put in the book. Why speculative fiction, and dark fantasy? What do you enjoy most about writing, and reading, in these genres? I’m paraphrasing Gene Wolfe here, but all novels are fantasies; some are just more honest about it. If you’re going to make up a story, why not go all out? Make up the setting, the rules of engagement, the physics, everything. If your characters are defined in a way that the reader can relate to, and follow, then the rest becomes a lot of cool sights and sounds along the way. Having said that, though, I don’t read within the genre as much as I used to, but the books I do read are usually set in another place, or another time. I think I wanted to paint once. There was always a need to produce something with my hands and brain, in order for me to function. Music, too, would have been nice, but I never learned an instrument and my painting skills plateaued pretty quickly, so only writing remained an option. Will you tell us a little more about yourself and your background? I came to Canada from the UK, with my parents, in the mid ‘60’s, when I was very young, and spent the first part of my life going back and forth between Montreal and London. At first, I was kind of a content loner, into bugs and dinosaurs and model planes and books, of course- mostly sci-fi- but also adventures like Tarzan and war novels and horror. I read a lot. I was a bit of a stereotypical nerd, I guess, in my own world. At around seventeen, I was in England when punk hit, and that was formative and changed my perspective towards a lot of things. I’d found something that fit, and that got me through a few decades. Now I have two kids, a day job in aerospace, and I write these ‘odd’ books. I transcribed fight scenes from a dinosaur book verbatim into a notebook, then traced the pictures. I wrote a paragraph or two of my own to link the episodes together. Basically I ripped off another book. I was pretty young. The whole thing was done in pencil, I remember. My tracings were awful. Without a deadline, I’m not prolific at all. I don’t really believe in inspiration either, so I guess not writing is a form of laziness. But it’s insular, obviously, and if you’re serious about producing a book, or a significant body of work, you need to commit to a lot of alone-time, whether it’s nice out or not, so the summer’s not the best season to jump into something. With a deadline, my discipline is pretty good. I set up a weekly goal and sit there until I make it. For Head Full of Mountains, the goal was 700 words a week. Modest, for a lot of writers, but it adds up pretty quickly. The book before this one was written in less time, but there were less things going on at the time. I just sit there every day and do a bit, then think about what’s next, or how I should shift things around, until I have a draft. What authors or books have inspired you the most, in writing, and in life? I think Chip Delany’s Dhalgren was the single most inspiring book for me. Reading it, I realized what fiction was capable of, especially speculative. There was poetry and beauty and structures I’d never encountered before. There was no plot. You have to sort things out as you read. You have to conclude and decide. It was real. Such a great book. I’m currently reading The Christine Brooke-Rose Omnibus, a collection of four novels by an experimental writer from the ‘60’s. I think I’m in over my head. The first book, Out, was difficult but quite wonderful, by the end. I’m on the second one now, Such, and I’m starting to lose it. I understand that fiction, like everything, needs to be deconstructed and rebuilt once in a while, but when the audience is reduced to such a small group- and I’m not part of that group- I struggle to grasp the motives of making, or sharing, such a work. Are there any books that you’re looking forward to this year? I have a massive to-read pile. More than I could ever read in my life, but I keep buying books anyhow. There are lots I’m looking forward to reading– I still get a rush when I’m reaching for the next one, because you never know how good it’s going to be. I want to read Thomas Pynchon’s latest, Bleeding Edge, when it comes out in paperback. He amuses me, when he’s not too goofy or fraternal. His stuff is encyclopaedic and irreverent and I like the scope. I’m also looking forward to Jeff Vandermeer’s new books, Annihilation and the other two. Line by line, he’s one of the best genre writers, and I have the feeling that everything came together for him in these ones. I’ve heard a lot of good things, so I’m excited to start. William Gaddis’ The Recognitions. Not only is it my favourite book, but the copy I found, and the bookstore I found it in, were all part of the experience. The timing in my life was ideal too. I could feel the effect it was having on me as I read. A really nice, fat mass market. A peak experience, I think they’re called. The perfect storm, but in a good way. I think about reading it again but I’m afraid I won’t be able to recapture that feeling of emergence or transformation. I have two projects on the go. One is more mainstream, a novel that follows the formation and trials of a semi-inept rock band in the ‘70’s, and the other is a genre novella about the inhabitants of a post-apocalyptic seaside town trying to cope with increasingly strong winds, though it sounds kind of funny to sum it up like that. I’d like to compile my short stories also- there aren’t that many, ten or so- and put them in with the novella. I haven’t talked to CZP about this idea, but maybe they’ll read this and give me the thumbs up. Then I do the daily thing again. I’ve always wanted to write a novella. All my novels started off as one. When Crospinal’s ailing father dies, he is left utterly alone in the pen, surrounded by encroaching darkness. The machines that tended to him as a child have long ago vanished, and the apparitions that kept Crospinal company are now silenced. 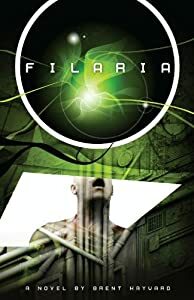 Struggling with his congenital issues, outfitted in a threadbare uniform, he has little choice but to leave what was once his home, soon discovering that nothing in the outside world is how he had been told it would be. In his quest for meaning and understanding, and the contact of another, Crospinal learns truths about himself, about his father, and about the last bastion of humanity, trapped with him at the end of time. Brent Hayward, chizine, Head Full of Mountains, interview.